The Meadowlands Corps Band is a group of Christians who choose to proclaim the message of Salvation through the medium of music - and more specifically, in the context of a brass band. 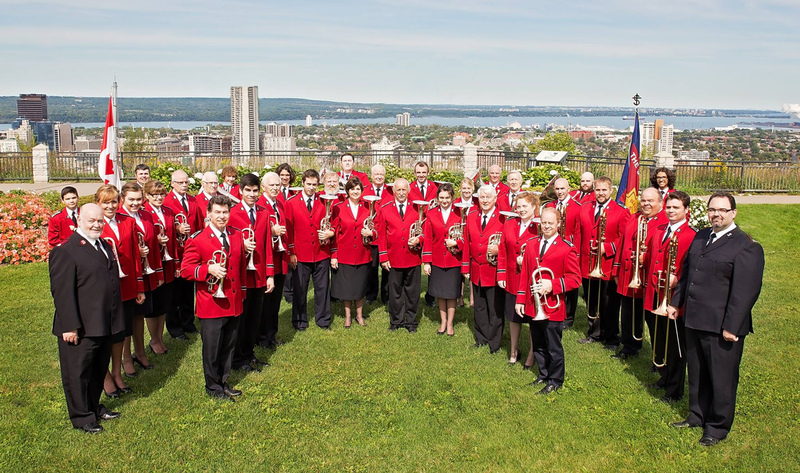 The band is extremely active within the city of Hamilton as they regularly conduct meetings in nursing homes and on the steps of City Hall, as well as being an integral part of the worship in its own church services on Sundays. Activity has not been limited to Hamilton alone as the band has ministered throughout Ontario, in Winnipeg, and has traveled to the United States on many occasions. Extensive tours of Bermuda, England and Scotland have been taken by the band since 1994. The ministry of the band is paramount as they strive to be current and effective in their approach. They are known for presenting music that connects with the listener for the ultimate purpose of bringing them closer to the Lord. Each bandmember is committed to the Lord and the ministry of The Salvation Army.